Office parks are known to a symbol of everything wrong with modern planning. Single use monoliths with mass amounts of surface parking and poor transit connections. They are lively between 9-5 Monday to Friday but dead every other time. Is this the most efficient use of land in an urban environment? And before you pipe up on industry you might find heavy industry 24/7 and even pockets within light industry are 24/7 especially if the City is in a boom phase like Auckland. Industry is also rather incompatible with residential and commercial service unlike offices which is why planning keeps industry away from them. The idea behind Centres-first and the list above is getting best bang for buck from your land. Offices integrated with commercial services and residential inside a Metropolitan Centre allowing a 24/7 economy inside said Metropolitan Centre rather than a 9-5 economy seen with office parks. And yes I know Manukau right now is a 9-5 economy but that situation is a tad unique. 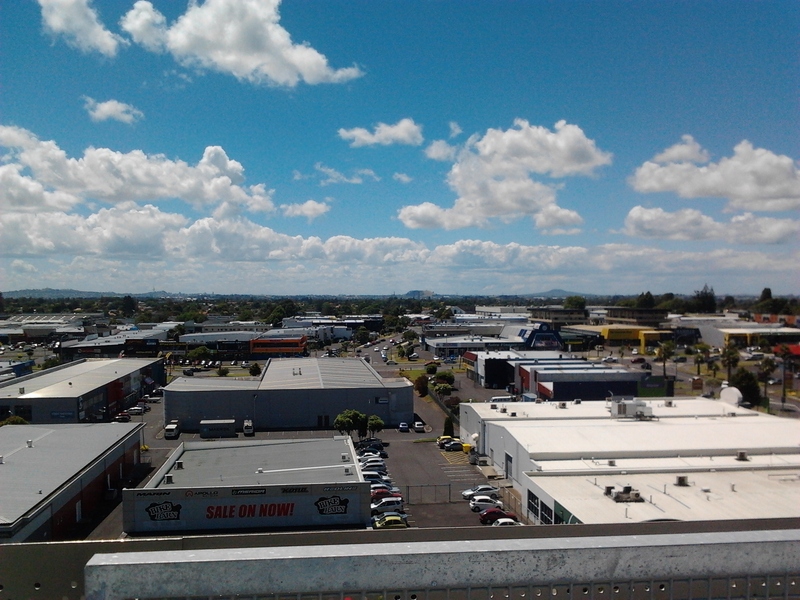 Manukau is full of office and commercial but no residential of serious scale. As a result Panuku Development Auckland is using Transform Manukau to get more residential into Manukau to promote better integration and a 24/7 economy. See the Transform Manukau Omnibus for more. This all should mean this is the end of the Office park right? Auckland is seeing a record low in vacancy rates for offices in the heart of the city. According to Colliers International’s Auckland metropolitan office research report, vacancy rates were also falling outside the city. Outside of the central business district the vacancy rate was 6.3 per cent – well below the 10-year average of 8.2 per cent but slightly above last year’s rate of 6.2 per cent. The city fringe is at a record low of prime office vacancy at 2.6 per cent. Research manager Leo Lee said a shortage of “prime office space” closer to the city centre was driving businesses to seek affordable offices more towards the outskirts of the metropolis. “As a result, metropolitan vacancies rates remain low, while rents are rising,” he said. Smales Farm technology park on on Auckland’s North Shore sits on land that once was home to grazing cattle. Now it is now home to Air New Zealand, Vodafone, NZI Insurance, IAG New Zealand, Sovereign, and Beef and Lamb NZ offices and building another office building called the B:HIVE (Business Hive) for another 1000 workers. The Southern Corridor has long been a main precinct for Auckland businesses, especially with more Grade-A office stock built since the early 2000s. The area extends along Great South Road from Manukau Rd to the Penrose motorway interchange. Lee said areas outside the city allowed larger businesses to house all their employees under one roof or on one floor in “more collaborative and connected workplaces”, which could be cheaper than having a number of locations and helped attract and retain staff. Lee said population and employment growth as well as increased construction activity will help keep vacancy low and rents buoyant over the next year. The latest Regional Perspectives Report from Infometrics published in March predicted Auckland would add over 83,000 jobs over the next four years. Over the last six months almost 30,000 sqm of new prime office stock was completed, with a further 65,686 sqm was under construction and another 30,000 sqm was proposed for future development. So we are seeing offices seeking out office space. The problem is they continue to seek out office parks rather than integrating into the Metropolitan Centres. You would think the office park would die right? Lindsay Gilbert, vice president of advisory and transaction services for CBRE in Denver, takes to the pages of the Colorado Real Estate Journal to share the findings of a new report on the strength of the suburban office market. The article also focuses specifically on the Denver market, which Gilbert describes as unique because it is adding a great deal of suburban office supply. In fact, Denver is the third most active market for suburban office construction, trailing only Seattle and Northern Virginia. According to Gilbert, rent growth is driving suburban office construction in Denver and other markets around the country. In Denver’s case, writes Gilbert, in-migration and transit system expansion into the suburbs are also benefitting suburban Denver. It seems the Office park is not quite as dead as urbanists might like and this should be a concern for the boffins inside Council. The office park is a symbol of the auto-centric motorway dominated type planning seen in the 21st Century. In reality and the 21st century such parks do not have a place inside a City when we should be promoting mixed use. If we are looking at better enabling transit, mitigating congestion, beating the obesity situation, and promoting better physical and human amenities then we might want to put better efforts in getting offices to be built in the Metropolitan Centres while existing office parks are retrofitted with residential apartments.